Midnight Gothic PU - Illustration store PicsForDesign.com. PSP tubes, PSD illustrations, Vector illustrations. 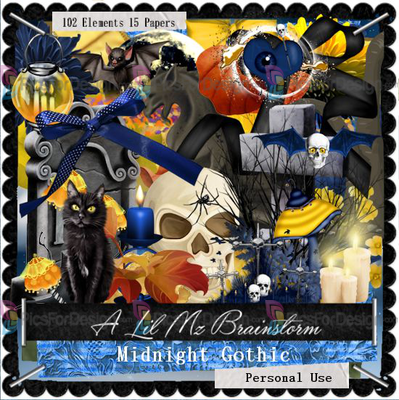 Lil Mz's Brainstorms introduces Midnight Gothic. This personal use scrapkit contains 102 elements and 15 coordinating papers.